The people behind one of the fastest growing off-grid solar companies in Africa have said that the mobile solar revolution will transform Nigeria’s small-business economy. Access to power is a major constraint for Nigeria’s SMEs, and thousands are now using the Lumos Mobile Electricity service, which provides customers with reliable, clean, affordable solar electricity. Lumos Nigeria CEO Yuri Tsitrinbaum believes the availability of solar solutions will play an essential role in efforts to bridge the nation’s electricity supply gap. He says that businesses without access to the grid find alternative electricity sources expensive, unreliable and dirty – many are now discovering that the clean energy wave sweeping across Africa can transform their fortunes. A recent survey conducted by NOIPolls revealed that 61% of SMEs in Nigeria spend between ₦500 – ₦1000 per day on fuel, and an ODI survey has indicated that as many as 85% of micro and small businesses rely on generators for supply of electricity. With the Mobile Electricity service, costs are as low as ₦150 per day, or just ₦4,500 per month. Lumos’ Mobile Electricity service, in partnership with MTN, is an alternative to noisy, polluting generators. Available at MTN stores nationwide, the Y’ello Box is providing a solution to millions of Nigerians who don’t have access to reliable electricity. 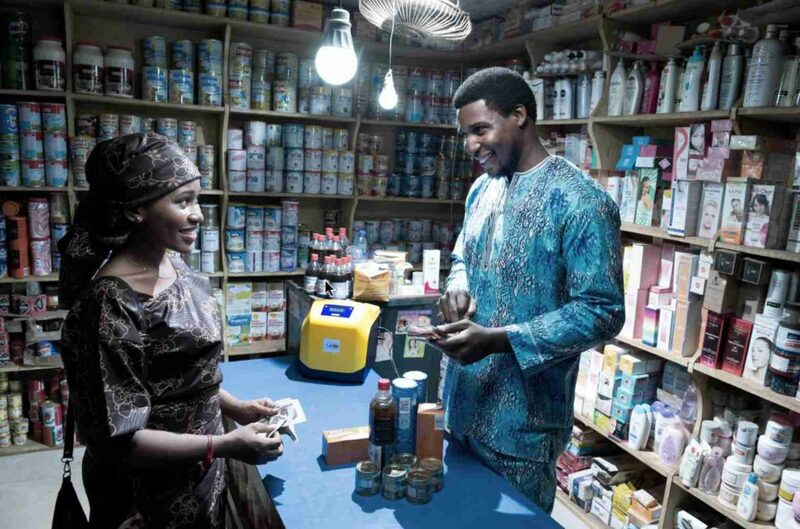 Lumos, which has attracted major investors into the Nigerian economy, has witnessed a rapid rise in the number of SMEs thriving thanks to safe, reliable and affordable power from the Y’ello Box. SMEs have found the Mobile Electricity service attractive as they can benefit both from its affordability and reliability, doing away with fuel and maintenance costs. With the Y’ello box, SMEs can increase their trading hours, and their profits. On a visit to SMEs and health clinics using the Y’ello Box earlier this year, US Ambassador to Nigeria Stuart Symington praised the service for helping people keep their premises open later, adding that the service would help Nigeria “fulfill its full economic potential”. Yuri Tsitrinbaum said: “We are witnessing a power revolution in Nigeria. Our everyday lives demand more access to electricity, and we need to meet that demand in order for businesses to grow. If we are to meet the true potential of the thriving business community here, access to power must follow the path of the mobile revolution. Today, Lumos is already providing clean and affordable solar power to more than 200,000 people, many of whom are business owners and households. By the end of the year, Lumos aims to provide 1 million Nigerians with access to reliable, clean and affordable electricity”. Distributed by APO on behalf of Lumos Global.